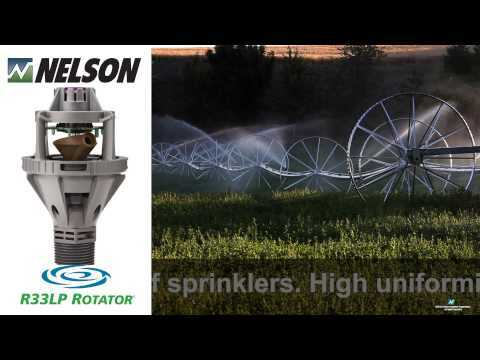 Back in the 1980s Nelson saw it was a time for a change, and set out to completely redesign the impact sprinkler. 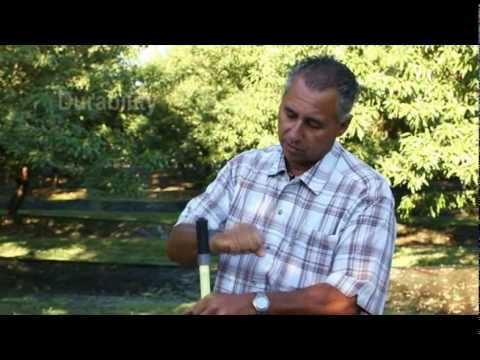 The result was an entirely new drive mechanism with superior performance … the Rotator® sprinkler was born! This durable plastic creation simplifies the water propulsion method by limiting the moving parts to one. The water stream emitted from the nozzle is directed into an offset channel on the rotor plate, which creates a reactionary drive force. A viscous silicone fluid in the rotor motor controls the rotation speed. This precise and simple design solves many of the problems that the impact sprinkler faces. More uniform water distribution patterns can be achieved, reliability is enhanced, application rates are reduced, costs and maintenance are lowered, and riser vibration is eliminated. Since the inception of Rotator® Technology, a whole line of sprinklers has been developed providing a flow range of 9 GPH to 8.5 GPM (34 to 1935 LPH) and a throw radius of 7’ to 50’ (2.1 to 15.2 m). This offering covers the gamut of solid-­set, wheel-­line, permanent set and portable applications. (since sold to Hunter Industries).